It’s all well and good having replacement teeth that look like real teeth but teeth also need to be able to bite and chew, and play their part in enunciating words clearly. That’s why more and more people are turning to dental implants in Gloucester as their first choice for restoring lost teeth rather than dentures and bridges. Dental implants are no longer new, having been around for more than 30 years. However, they continue to provoke innovation in the ways they are used and are becoming available to people who once would have been turned down flat when they asked about them. Dental implants in Gloucester need to be fitted into dense, strong bone if they are going to be any good as teeth. Chewing creates powerful, multidirectional forces that implants need to be able to cope with. Putting them into bone that has lost its density and size would be a bit like hanging a trapeze from plasterboard rather than an oak joist. Neither is going to stay put for very long once you start using it properly. Jaws deteriorate when they no longer have tooth roots in them to signal to the bone to keep renewing itself. The vibrations from teeth meeting other teeth in chewing sends vibrations into the root. When they cease, the bone actively dissolves itself and pretty quickly too. The jawbone can also be eroded by advanced gum disease, when acids start to eat away at it under the gum. 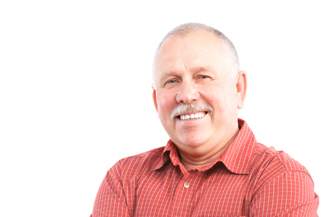 If you have had dentures for a while and you find that they cannot be relied on to stay still, no matter how often you have them relined, then at Implant & Ceramic Dental Studios, we can use dental implants in Gloucester to stabilise them. Implants can be stabilised on 2-4 implants per jaw, and you can have your current dentures customised so that they fit onto the implants. If you need to have all your teeth replaced, we can use a technique called All-on-4, which replaces entire arches of teeth, giving you a new set to walk out with the day you come for treatment.